All new view types can be created, by clicking on the (+) button right besides your view tabs. 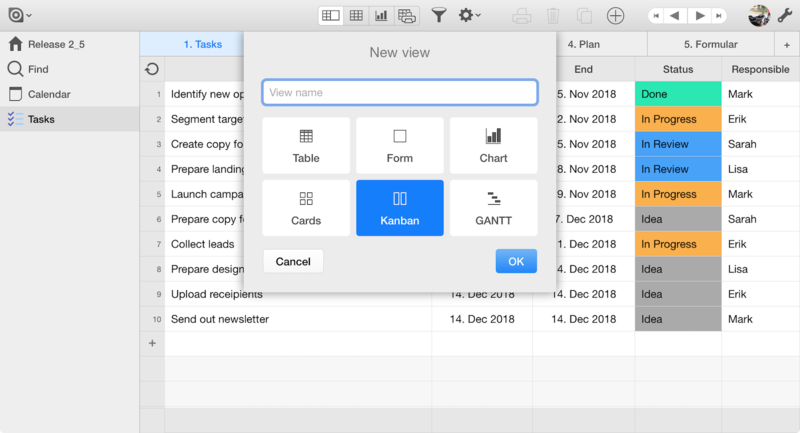 Kanban views are a super-useful tool to manage resources, assign tasks or track the status of your invoices. 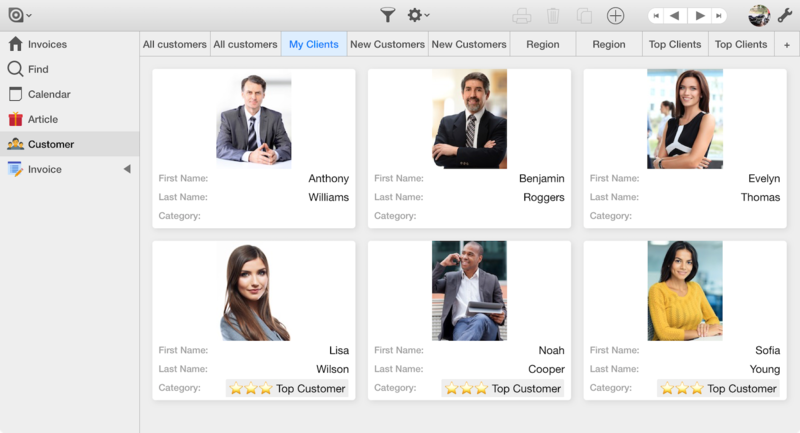 To configure a Kanban view, Ninox will ask you to pick a grouping column. For every group it will display a swim lane. Records will be rendered as cards on the swim lanes. And the best this is: Just by drag and drop you can move around cards from one swim lane to another, modifying the underlying field - e.g. a status field. 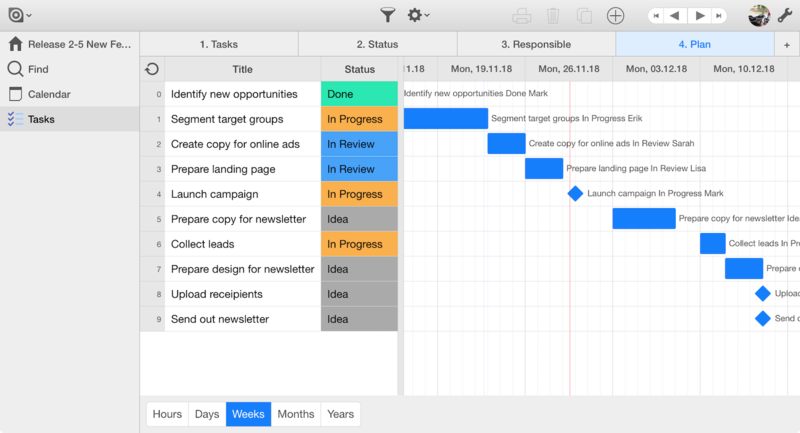 Time-related data can now be rendered in an intuitive way as a GANTT chart. 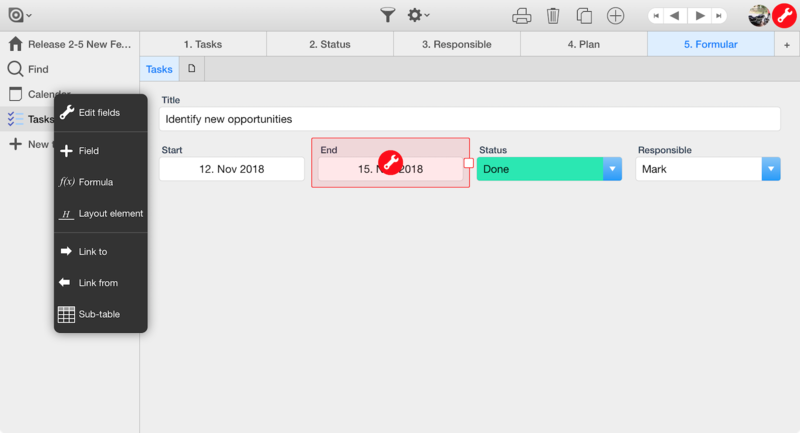 Ninox will pick the first appointment column or the first two date / date+time columns from the view's configuration to render the bars of the GANTT chart. 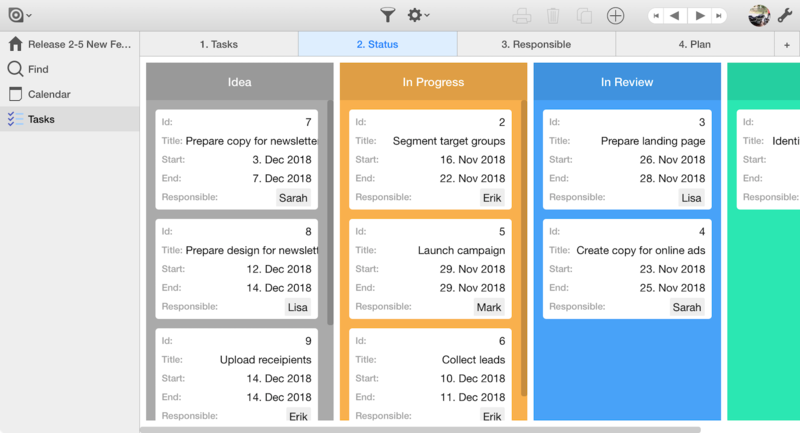 And just like the Kanban view, GANTT charts are interactive: When dragging around the GANTT bars, Ninox will automatically update the underlying fields. Tables are an effective way to display many records with high information density. If you're looking for a more visual approach, the new cards view will be the way to go. By combining forms and tables in a split view, Ninox lets you quickly navigate your records while providing the form as a flexible tool to edit your data. However, In some situations the form is more important than the table. And that's where the new form view kicks in: It just shows the form full screen, in full beauty. For those who can't wait to get their hands on the new features, we'll ship the Beta today.